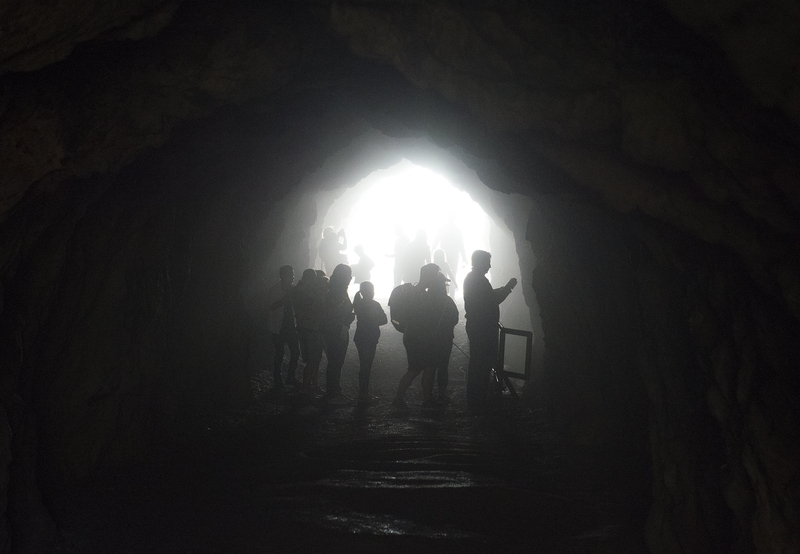 Visitors explore the misty Sutro Baths cave at Land’s End in San Francisco, Ca. on Friday, November 24, 2017. Photo by David Andrews.